As part of staff reports during Monday’s regular city council meeting, the mayor read a statement from Todd Stoffa, a captain with the fire department who is also president of the DeKalb Firefighters Historical Foundation. 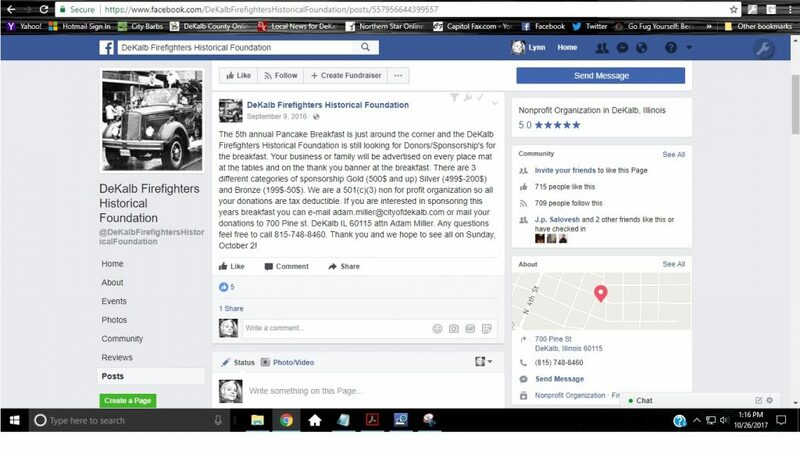 On behalf of DeKalb Firefighters Historical Foundation, I would like to express my sincere apologies for the mishap that led to the email and Facebook questions that were raised this past week regarding our 501(c)3 status. We were unaware of the issue until it was brought to our attention. We have been advised by our accountant that we were one of 22,000 small groups that were inadvertently and mistakenly dropped by the IRS due to a paperwork issue. We’ve already met with our accountant, and submitted all of the necessary documentation, to be reinstated as a valid 501(c)3 organization. Yeah, the Facebook stuff was me. I made the issue public two Sundays ago when I discovered that the foundation is continuing to fundraise despite revocation of tax-exempt status. They did so last year, too, and I did not want to see it repeated. In fact, the publicity for the Fall 2016 pancake breakfast advertised pricey tax-deductible sponsorships. 5. APPROVAL OF A STAFF REQUEST TO WAIVE COMPETITIVE BIDDING AND AWARD A CONTRACT TO IRVING CONSTRUCTION FOR THE FIRE STATION 2 REMODEL IN THE AMOUNT OF $254,750. In March, the Council authorized the Fire Department to seek bids to accomplish the necessary repairs and improvements needed at Fire Station #2, 1154 S. 7th Street. 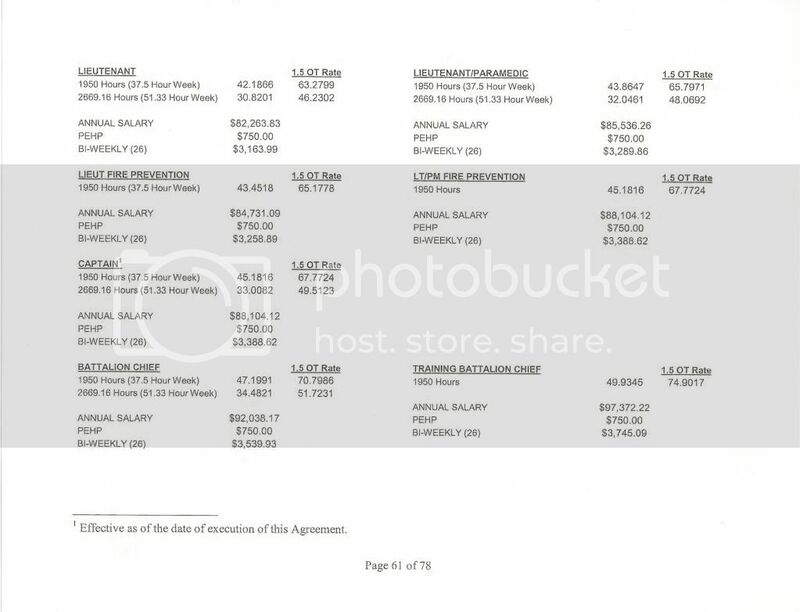 A local architect, Sharp Architects, completed the necessary drawings and bid specs for the project. The bids have been received for this project and staff is seeking Council approval to reject all bids, waive competitive bidding, and award a contract to Irving Construction, using the fund balance from the Public Safety Building Fund to pay for this project. 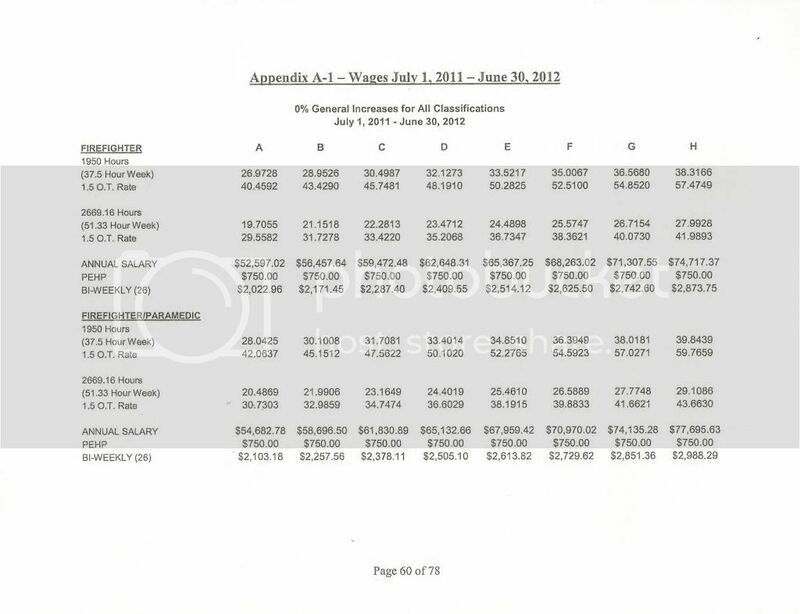 Below is the DeKalb Fire Department Wage Schedule for the current fiscal year. Click on either page for a larger version, and once more to really zoom in.